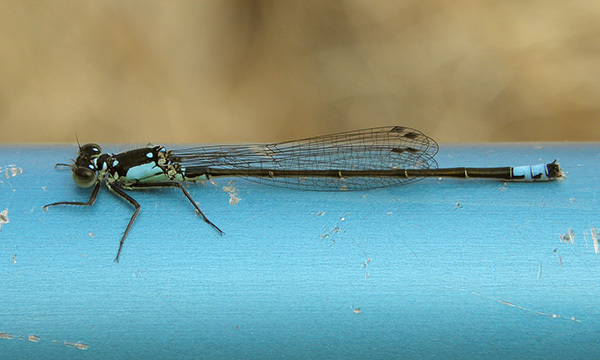 The Pacific Forktail, Ischnura cervula, had until now been seen in Arizona until the beginning of December. On 26 December 2010 three individuals were observed at Warm Springs, Gila, thus extending the annual flight period of the species in the state by more than three weeks. Pacific Forktail, Male (on net handle! ), Warm Springs, Gila, AZ, 26 December 2010.